You have probably seen this type of blanket before. 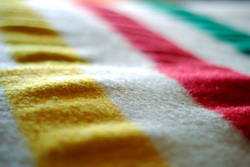 It is a traditional Hudson Bay blanket. The lines, or stripes, are an important reminder of the history of this company and its importance for the history of Canada altogether. 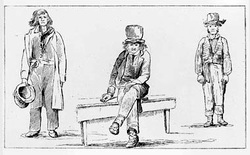 The Northwest Company became an important rival to the Hudson Bay Company in western Canada. Click on the image to learn more. Visit the following link to get an understanding of the importance of both the HBC and the NWC. Then form a group and design a project. Consult with your teacher on the details.